We were suitably impressed by Mophie's Juice Pack Air extended battery / iPhone case when we got a chance to try one out earlier this year, but if you're looking for an extended battery without the case you might want to consider this new Primo micro battery pack form PhoneSuit. 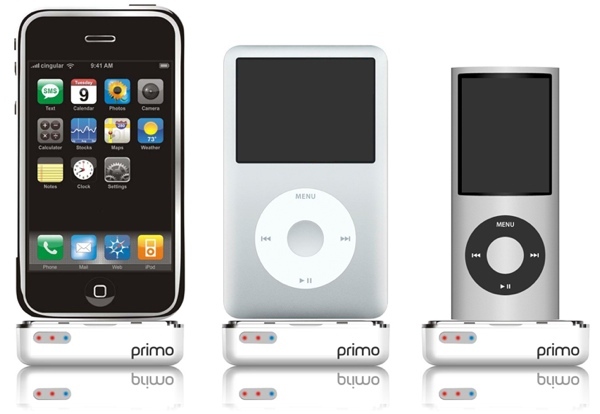 Designed for use with various iPods in addition to the iPhone, this one packs an 800mAh battery inside its tiny enclosure, which promises to add up to 45 hours of music playback time to your iPod, or up to three hours of extra talk time to your iPhone 3G. Better still, it has a fairly reasonable price tag of $35, or you can snag a three-pack for $89.95 if you like to be extra prepared (or are looking for a few stocking stuffers). We'll also be checking this one out ourselves shortly, so stay tuned to see if it actually lives up to its claims.